Raft through the heart of the Alaska Chilkat Bald Eagle Preserve in Haines. See bald eagles in their natural habitat from the comfort of an 8-person inflatable raft. Watch eagles catching salmon and caring for young eagles in the numerous nests that line the riverbanks. Enjoy a hearty snack of locally caught smoked salmon at the end of the tour. Local pickup and all river gear is included. 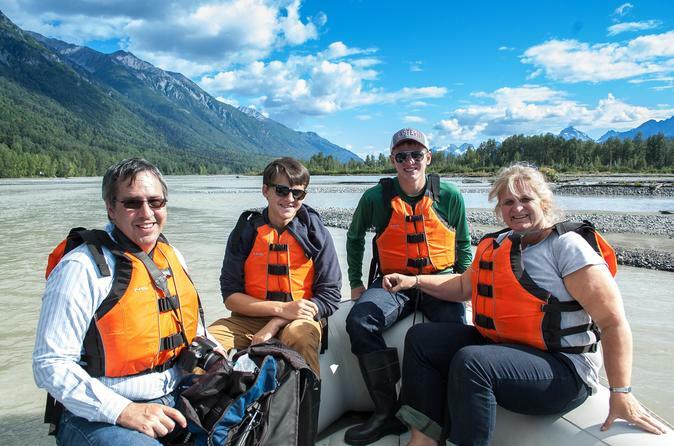 Experience the true wilderness of Alaska via jet boat tour in the heart of the Eagle Preserve! Explore miles of the stunning Chilkat River System. Your small group tour starts with a ferry ride to Haines. Then up the scenic byway to where your boat awaits you. Wildlife and scenery opportunities abound with eagles and moose often being the highlights. Your captain can stop the boat so you can get your Alaska photo of a lifetime! Return to Skagway with memories, photos, and an appreciation for the Alaskan wilderness! 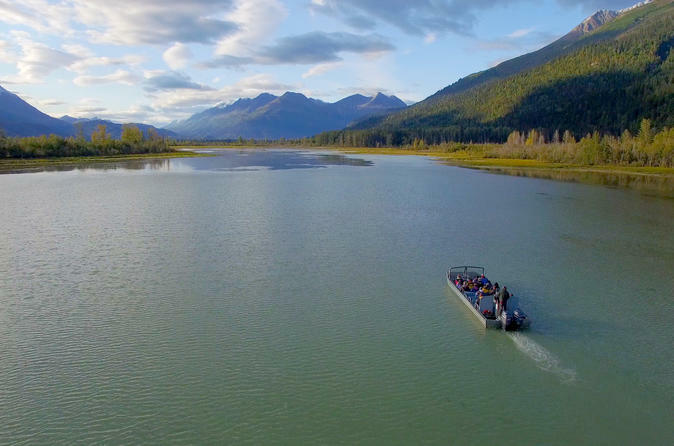 Experience the true wilderness of Alaska on a narrated jet boat tour in the heart of the Chilkat Bald Eagle Preserve and Explore miles of the stunning Chilkat River System! Depart your tour up the Haines Scenic Byway to where your boat, powered by quiet four stroke motors awaits you. Wildlife and scenery opportunities abound with eagles and moose often being the highlights. Your captain can stop the boat so you can get your Alaska photo of a lifetime! Return with memories, photos, and an appreciation for the Alaskan wilderness!